Harvard College received 39,494 applications to its Class of 2021, setting a new record for the third year in a row and surpassing last year’s total by 450 applications. Dean of Admissions and Financial Aid William R. Fitzsimmons ’67 attributed the 1.2 percent rise in applications to the popularity of the College’s new Theater, Dance, and Media concentration, its financial aid program, and the School of Engineering and Applied Sciences. This year’s applicant pool saw a 12.3 percent increase in students interested in studying computer science, building off a 22.1 percent increase in interest in the field last year. The pool also saw a 3 percent increase in prospective humanities concentrators. In a press release, Deborah Foster, director of Undergraduate Studies in Theater, Dance and Media, said she was “astounded” by the number of high school students who had contacted her about the new concentration, which kicked off in 2015. The racial and ethnic composition of the pool was similar to that of last year, but saw small increases across several groups: 21.8 percent of applicants identified as Asian American, 12.6 percent as Latino, 10.5 percent as African American, and 2.3 percent as Native Americans and Native Hawaiians. 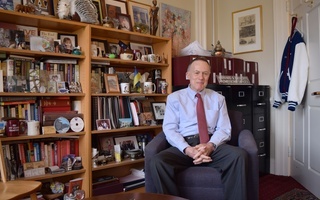 In an interview, Fitzsimmons said the admissions office would continue to ramp up its recruitment of students from minority backgrounds in the coming years. “The reality is if you don’t recruit a very diverse student body, your university will be less relevant to the country as time goes by, and it’s not a mystery to see what the country’s going to look like,” Fitzsimmons said. The number of women applying to the College increased by 2.5 percent, and women comprising 49.9 percent of the total applicant pool. The Class of 2021 will be the first class subject to the College’s penalties on members of final clubs and Greek organizations. While the geographic composition of the applicant pool was also similar to previous years, Fitzsimmons said a nationwide plateau in the number of graduating high school seniors—particularly in the Northeast and Midwestern United States—could decrease applications from those regions in the coming years. Conversely, the Southwest and the South, as well as certain Western states such as California, will experience an increase in high school seniors. Fitzsimmons said that President Donald Trump’s recent executive orders regarding immigration and travel to the United States did not impact this application cycle because the application deadline was January 1, nearly three weeks before Trump’s inauguration. 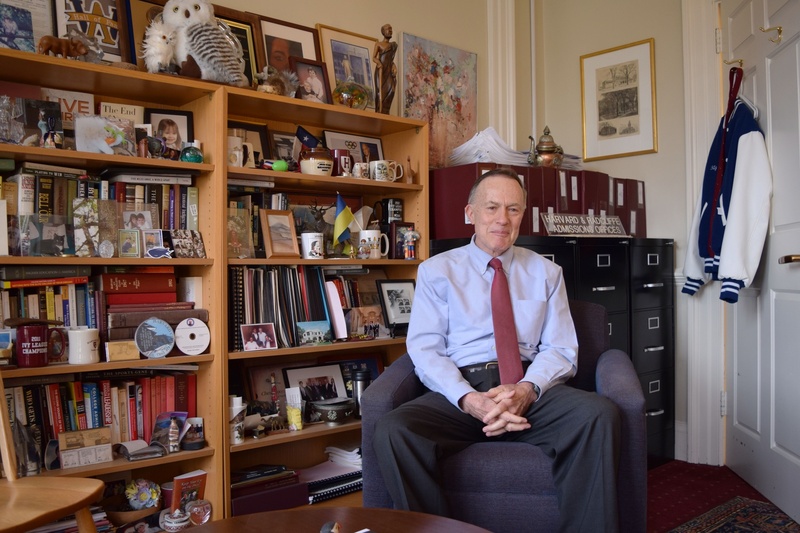 Going forward, though, Fitzsimmons said he plans to continue the admissions office’s pursuit of top students from around the world, and to direct various Harvard services to assist them in the process of obtaining a visa and arriving in Cambridge. “We will just continue to take the best students, wherever they’re from, whatever their citizenship is,” Fitzsimmons said. Harvard has already offered admission to 938 early applicants from a pool of 6,473, representing a 14.5 percent acceptance rate—the lowest since the College reinstated its early action program in 2011. 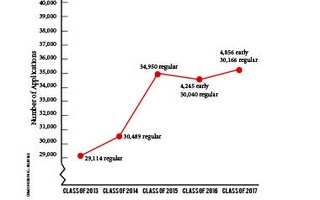 Last year, the College accepted a record-low 5.2 percent of applicants to its Class of 2020. The College will release admissions decisions on March 30, and admitted students will have until May 1 to accept or decline their offers. —Staff writer William S. Flanagan can be reached at will.flanagan@thecrimson.com. —Staff writer Michael E. Xie can be reached at michael.xie@thecrimson.com.